A section of Redondo Road is temporarily closed starting Wednesday, July 26 through Friday, July 28. The closed section will be just south of Redondo’s intersection with Martin Luther King, Jr. Blvd. and up to the north end of UNM Centennial Engineering. The New Mexico Gas Company will be preforming work to install high-pressure gas line into UNM’s Ford Utilities Plant. 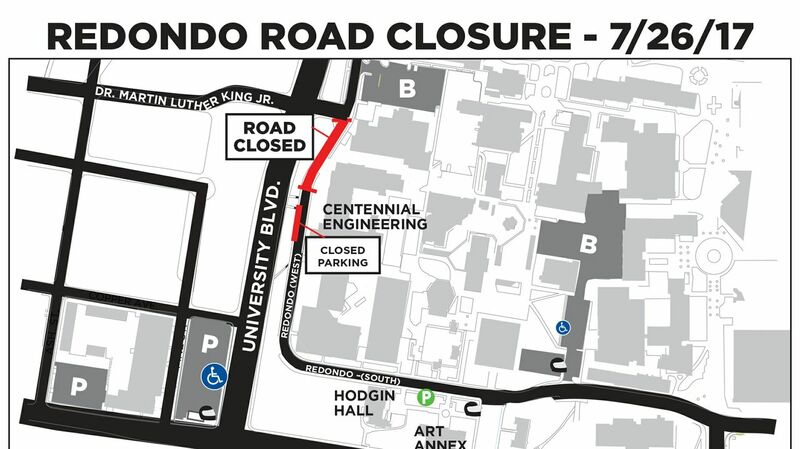 Along with the temporary closure of a section of Redondo, the work will also require the temporary closure of 9 parking spaces in the affected area. The campus community should avoid the area if possible and follow all detour and pedestrian traffic signs. Call UNM Parking and Transportation Services with questions at 505-277-1938.